Wildlife gardens benefit from food, water, nesting sites, and cover. The focus of this piece is all about providing cover for wildlife. Even we humans need to find cover, and our wildlife is even more in need. Building a garden that provides plenty of covers so they can easily escape from potential predators is much appreciated. In addition to protection from threats, our wildlife needs places to find shelter from extreme weather conditions, such heavy rain, snow, ice, or our sweltering summer heat. Some animals are more selective or specialized than others in their cover requirements. For example, butterflies look for stacked stone. Cover requirements for any particular species will also vary according to season and stage of the animal’s life cycle. The type of cover you provide should be influenced by the type of wildlife that frequent your property or those that you would like to attract. In many cases, the cover requirements for one species overlap with those of another. Diversity is key. Plan your garden with a mixture of trees and shrubs, both deciduous and evergreen, as well as perennials and vines. Include, too, brush piles and fallen logs. Look around your garden to see what you already have, and what more you can incorporate. Along with diversity, density is just as important. Do both at each level within the garden: ground, mid, and upper. The ground level should have a mixture of grasses, low shrubs, and herbaceous (non-woody) plants. These low areas provide quick escape for ground feeding birds such as Mourning Dove or Eastern Towhee. Rock pile – If you have rock or brick left over from a project tucked out-of-the-way, don’t think of it as an eyesore; rather consider a place of cover for wildlife—ground feeding birds, butterflies, and chipmunks. The crevices created within the pile are perfect spots for the wildlife to escape. Log or brush pile – Similar to rock piles, log and brush piles provide cover for small birds and mammals. Piles can be just that, and it is what I do when I stack wood for an outdoor fire. You can also create their own special cover with larger wood on the bottom and smaller limbs on top. When stacking, leave space at the base so the base has a larger area in the center for the wildlife to escape to and allow movement within the pile. Shrubs – Shrub areas are valuable as nesting cover, escape cover, and a food source for many birds and mammals. Allow some areas of young trees and shrubs across your property to grow more densely. Edging – Along the forest edge is where many birds find brood cover. Allow some areas of young trees and shrubs to grow more densely. 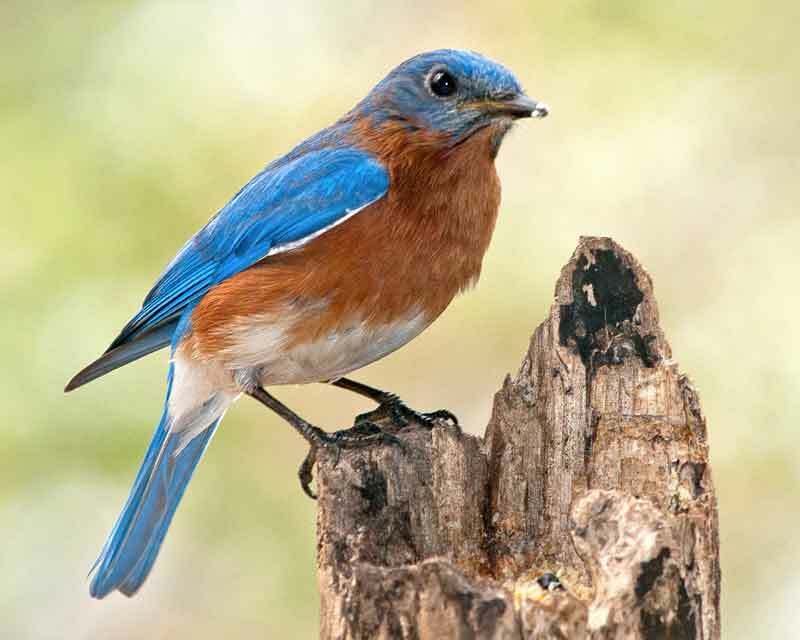 Also note, while dense areas are beneficial to many birds, it is a detriment to some birds such as the Eastern Bluebird, unless you also have open areas as well. Snags – If you leave a snag (dead tree) for tree cavities, make sure as it degrades the debris won’t fall on your neighbor’s property or on something valuable on yours. Finding space for protective wildlife cover is a major part of having a pollinator and wildlife habitat garden. Add something now to give your birds and butterflies a safe haven. Helen Yoest is the executive director of Bee Better, an area non-profit 501(C)(3) designing and educating area homeowners about building better backyards for birds, bees, and butterflies.